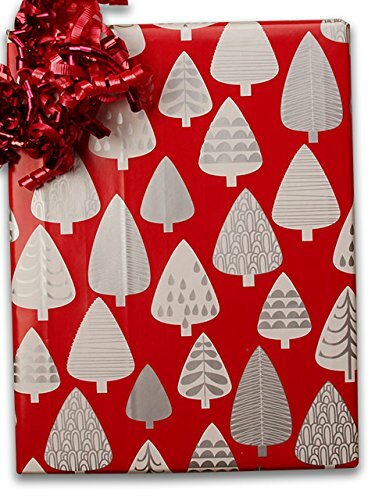 24" X 100' #x6337 Silver Forest - Gift Wrap Christmas - This wrapping paper celebrates the beautiful Christmas tree. Patterns range from nostalgic to whimsical and from traditional to playful. There are gorgeous colors like festive reds, delightful greens, bright whites, and muted tones. This high quality gift wrap is available in a variety of lengths and widths.Some papers are stored in our warehouse and shipped to you from California. Other papers are shipped direct to you from factories in the North East. This will be noted in your shopping cart. *Please be aware that factory direct items are not returnable. For the holidays, view our assortment of 673.